Client Remks:Great Basement Space In A Desirable Growing Area. Ideal For Any Type Of Retail, Office Or Service Business. 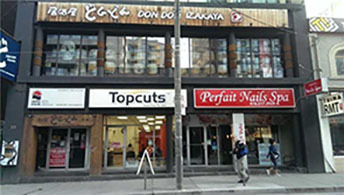 Minutes To Eaton Center, Dundas Square, Canadian Tire, Service Ontario, Ryerson U, Atrium On Bay, Winners, Best Buy, Starbucks, Second Cup, Hmv, Rbc And Much More.. Steps To Bus Terminal, Yonge & Dundas Subway And Ttc. High Vehicular Traffic. High Commercial Area. Utilities Extra. Extras:Please Book Showings Through Lb.